Your instructors can not express how important it is to dance in Irish dance shoes. Training your feet is more than half the battle when learning to dance and you as a dancer must get used to dancing & training in soft shoes & hard shoes. We ask that all Beginners purchase soft shoes by November! November is a good indicator that your dancer is going to stick with it! You may hear people calling soft shoes ghillies or pumps (for girls) and reel shoes (for boys) —whatever you choose to call them, please make sure you own a pair! There is a “gently used” shoe box at Hughes Methodist Church, 10700 Georgia Ave housed up in the ‘loft’ area. The shoes are located in well-marked bins on the bottom of a pair of shelves. Any Culkin School dancer or parent is welcome to make a trip to Hughes to check out the latest collection with permission from your instructor. Hughes is used by the Culkin School M-Th 4:30pm-7:30pm & Sundays 1:00-5:00. If you are a member of the Culkin Yahoo! Group, then you can always send out an email feeler about needing Irish dancing shoes. Many dancers “collect” their shoes and just need a prompt from someone who is in need. Send your Yahoo! Group email and state the street shoe size (US) of your dancer and then the approximate UK size needed. Remember that gently used shoes will have been stretched, so your dancer may actually be able to fit into a shoe that is smaller than what you think. If you are lucky, you will get a response from someone that has some shoes for sale. We ask the dancers to match up pairs of shoes, put them in a Ziploc baggie with a self addressed, stamped envelope so that a buyer can send a check easily for payment. You must also indicate the price for your items. If you need help pricing your items, ask some Culkin parents or your instructor, they can help guide you. It is highly recommended that you also provide your email address and phone number. You just have to drop the shoes off to your instructor or visit the dress exchange yourself. The shoes can be left in the shoe bins year round. Gently used costumes and Culkin clothing can also be sold/bought at the dress exchange. Please label the clothing in the same manner above. If you are selling a dress, we suggest pinning the information to your item; include your name, email address, phone number, cost. We suggest picking up your clothing items after the exchange. If you don’t get any responses, there are a few shops in the area that sell Irish dance shoes, we suggest calling the shop before driving there. Irish Walk, 415 King Street, Alexandria, VA, 703-548-0118, and Les Gals Dancewear, 2337 Distribution Circle, Silver Spring, MD, 301-608-3237. All feiseanna have vendors who sell a lot of Irish dancing gear and accessories, including shoes. Plan on visiting a local feis in the Fall or Spring to try on and buy your Irish dancing shoes. 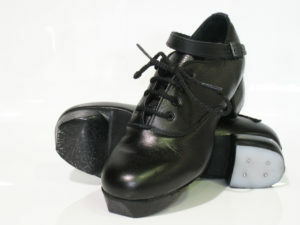 There are many companies who provide Irish dance shoes; however two stand out as far as your instructors are concerned. Both of these companies have been around for over 35 years and provide quality items and good customer service. Beginner boys can buy the Capezio Split Sole Jazz shoes on the Rutherford site for $50. Novice & Prizewinner boys (class level 2 & up) need to purchase the Capezio Split Sole Jazz shoes with the HyTech Heels that are about $85. Girls should purchase the cheaper type of soft shoes ranging between $45-$65. 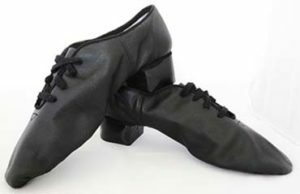 Novice & Prizewinner dancers should consider buying the soft shoes with more padding and split soft leather soles with arch support like the Hullachan soft shoe, which Rutherford sells or the Celtic Choice shoe that Fays sells for about $75. Fays Irish Dancing Shoes is located in New York and you can often find Pat, the manager, vending at a feis. If you don’t have an opportunity to get to a feis to try on shoes, just click this here to shop online at Fays. Rutherford Shoes is another reputable company based in New York and they carry some different sizing options and lace options. They also tend to vend at competitions and several Irish dancing vendors carry their products. Just click here if you’d like to shop online at Rutherford. If you are ordering online-just trace your foot and fax it to them! This can help in choosing a size. SIZING: Sizing can be difficult; it is important to realize that all Irish dance shoes are hand made, so sizes often vary. Irish dance shoes are sized in UK measurements, so be sure to convert US sizes to UK sizes. How do you do this? UK sizes are approximately 2.5 sizes smaller than US shoe sizes. Click here to access the shoe size converter chart. It is important to remember that leather stretches so we suggest buying a pair of shoes that fit JUST RIGHT or even a pair that is a bit snug (not something that you can’t walk in however) because you’ll find that within a month or so that your shoes will have stretched a great deal and when that happens, your shoes can actually be too big for you and be hard to dance in and/or look sloppy. Check out our Facebook page feed below and don't forget to check our events postings! If you're not a member of the Culkin School Yahoo! Group, just click a button below to join! Once in Yahoo! click the "join group" button and follow the prompts. Approval can take up to 48 hours. Joining is one of the best ways to connect with other Culkin dancers and families! © Copyright Culkin School of Traditional Irish Dance 2017. All rights reserved.